You Only Live Once! It's certainly true and so it makes sense to enjoy yourself while you can and what better way to do that than by visiting Newcastle's newest bar and eatery, YOLO Townhouse. 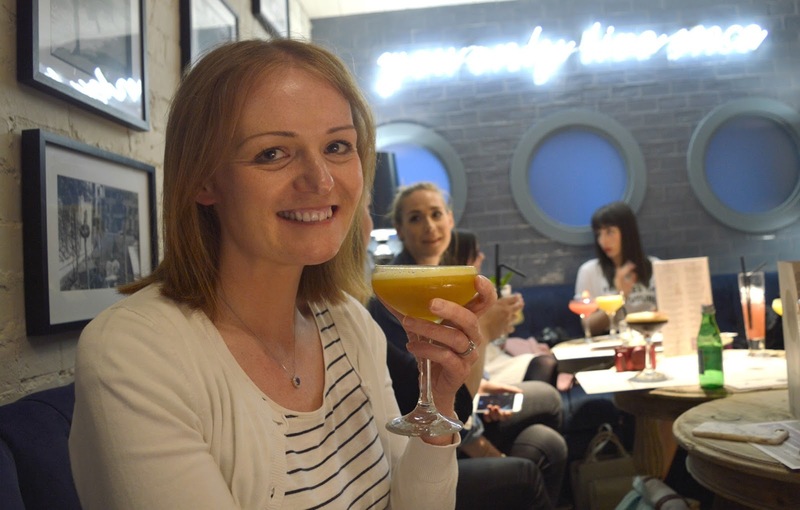 I popped along with a group of girlfriends for a night of cocktails and food - fancy a nose round? 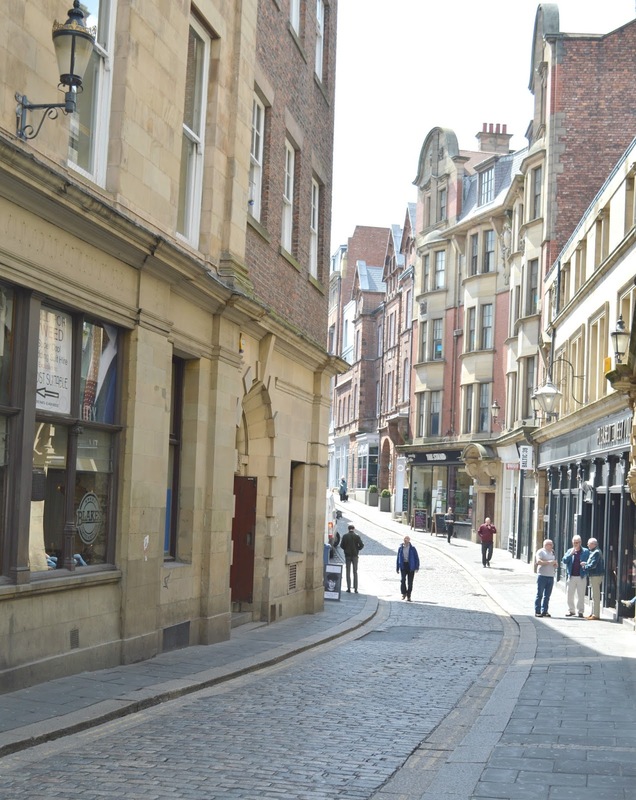 Following the huge success of YOLO's original bar in Ponteland, I was really excited as soon as I heard that YOLO Townhouse would be opening in the centre of Newcastle, and the beautiful new bar has exceeded my expectations. 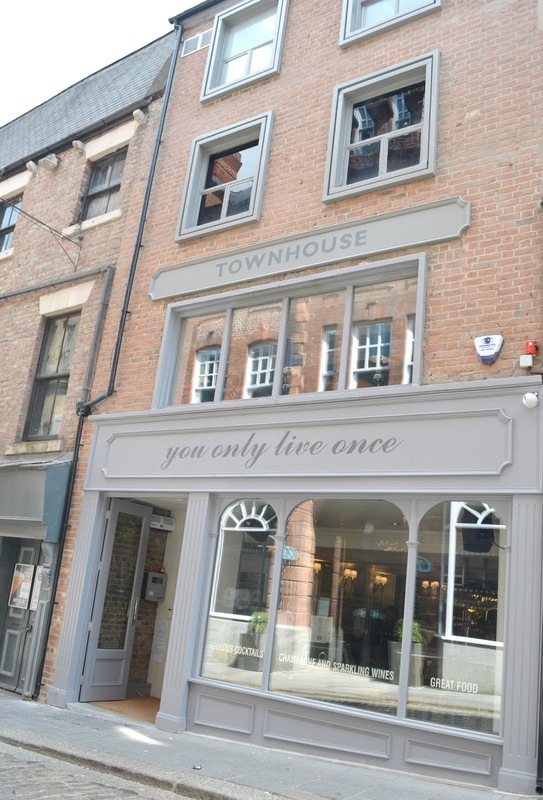 You'll find YOLO Townhouse on High Bridge, a part of Newcastle that I have been obsessed with for many months now. Home to Motel One, Laneway Coffee Shop and CrossEyes - it really is the place to be at the moment and is the perfect new home for YOLO Townhouse. True to its name, YOLO Townhouse is made up of three floors which instantly made me think of it as a dollhouse for grownups. 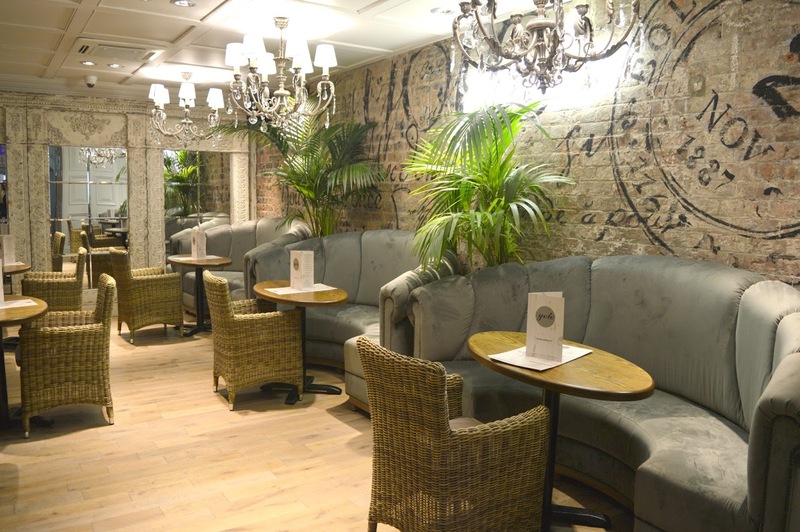 You'll find the main bar on the ground floor, the Parlour and Snug on the middle floor and a small roof top bar on the third floor, just in time for Summer. 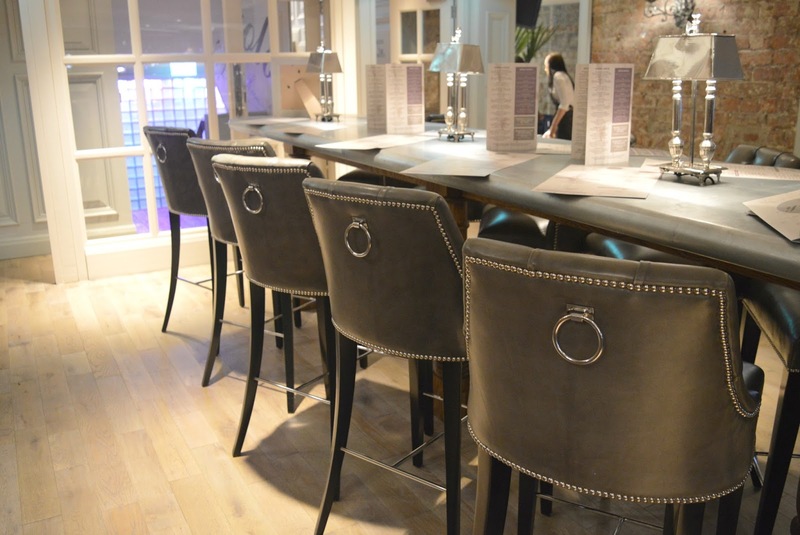 YOLO Townhouse is beautifully designed with exposed brick walls, wooden tables, ornate mirrors and decadent chandeliers. An Instagram lovers dream and the perfect location for a night out with friends. My favourite thing about YOLO Townhouse is how it truly caters for everyone in the city. Open from 8:00 am, early risers can enjoy a delicious breakfast menu or coffee, workers can look forward to lunches with free wifi and families can enjoy early evening meals. Food is served until 8:00 pm (and until 9:00 pm on Saturdays) with traditional roasts on Sundays. For those wanting to keep the party going until the early hours it's a great spot for cocktails with friends with the bar open until 2:00 am and resident DJs and live music sets to enjoy. Our evening started with a good look at the cocktail menu. All of the classic favourites appear with plenty to choose from. My eyes were immediately drawn to the "Rhubarb on the Rocks" (£7.95) which seemed like a pretty good place to start. 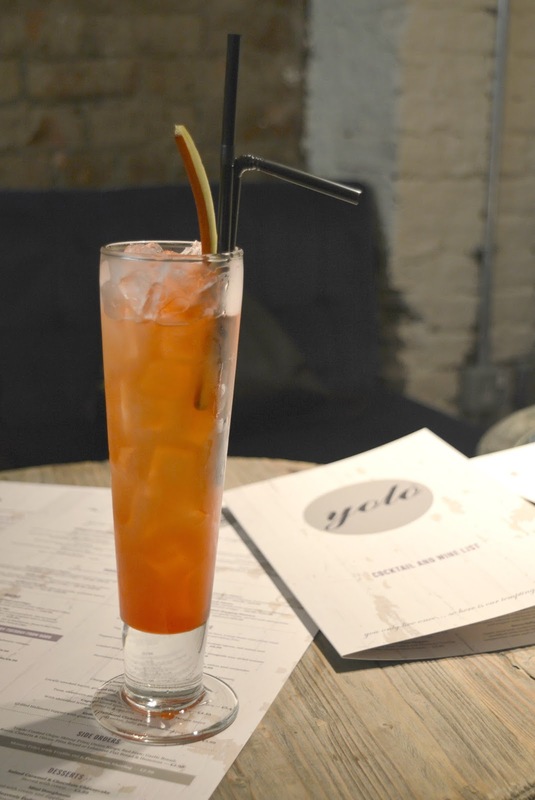 Edinburgh Gin, Rhubarb & Ginger Liqueur and Tanqueray Gin mixed with Peach Puree and a drizzle of Grenadine. It was sweet with a slight kick - just how I like my cocktails! 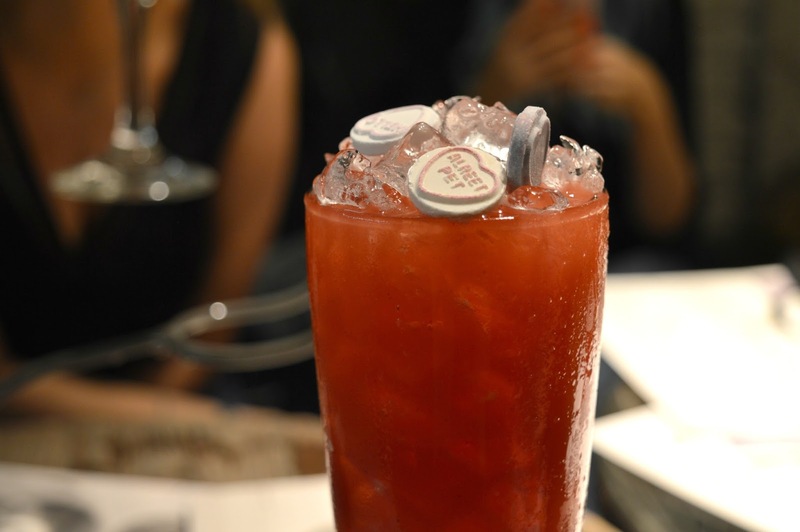 An instant favourite on our table was the Candy Pants (£7.95) - Absolut Cherry Vodka and Chambord Black Raspberry Liqueur Shaken with Strawberry Puree, Cranberry Juice and a splash of lemon. The cute Love Hearts were the perfect decoration and we loved that they had Geordie sayings. Maybe it was the cocktails giving her the giggles but my friend Sam was roaring with laughter at me attempting to say "Alreet Pet" in a Geordie accent! In an effort to get through a few more drinks we were thrilled when the Cocktail Tree turned up at our table. It was like afternoon tea for cocktail fans and the display of martini glasses filled with colourful cocktails was quite the showstopper. I can imagine a lot of hens are going to love hiring out the Snug and enjoy a Cocktail Tree. YOLO Townhouse also do cocktail master classes with their expert bar staff and I really enjoyed attempting to make a cocktail at the bar. I decided to make a Solero (£7.45) - Tanqueray Gin and Peach Liqueur shaken with passion fruit puree, a splash of lemon juice and topped with soda. 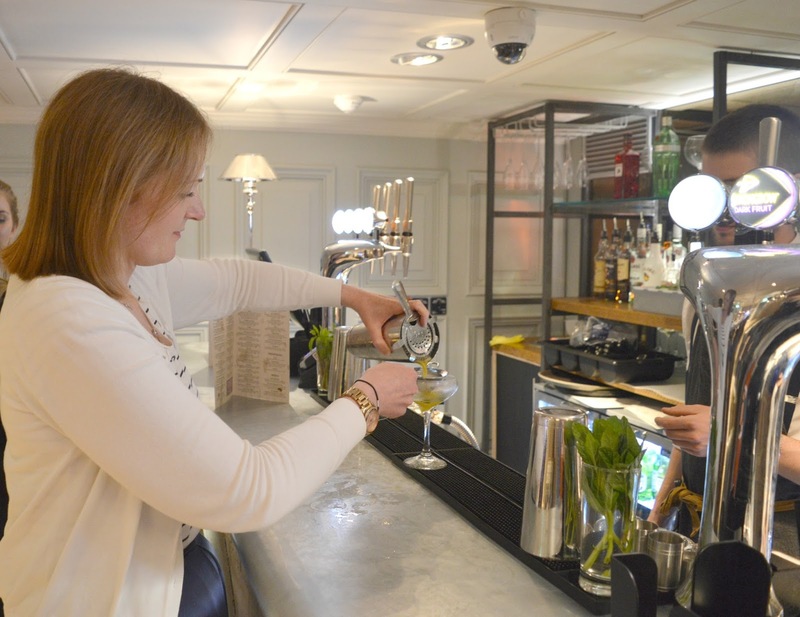 I loved the opportunity to try cocktail making and the bar staff were fantastic fun, letting me enthusiastically shake my cocktail even though there was a pretty good chance I was about to tip ice all over the floor! As you can imagine cocktail making is thirsty work so once I'd managed to create my drink it was back to our table to work through some food. Sharing loads of dishes is easily my favourite way to dine with friends and we had a table covered in platters and plates with plenty of enthusiastic hands grabbing at the food. 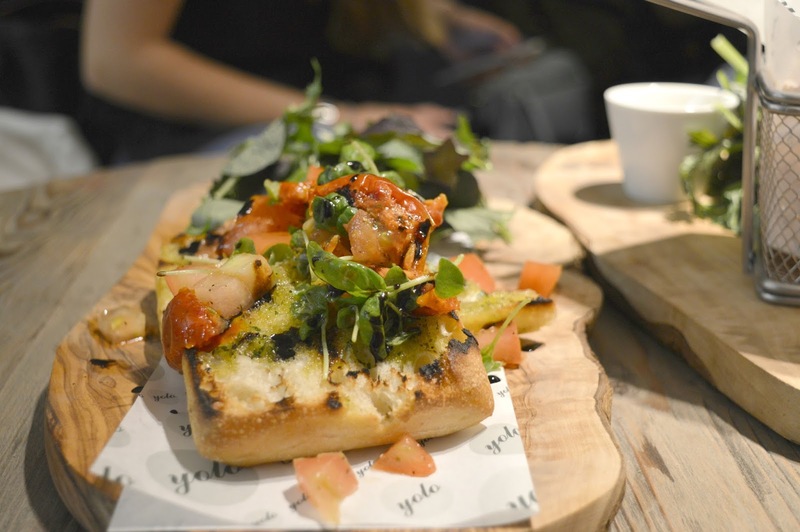 The Nibble and Starters menu has five lighter options including Bruschetta with fresh ripe tomatoes and basil on chargrilled ciabatta (£4.95), Salt and Pepper Calamari served with garlic aioli and fresh lemon (£6.99) and Tempura Prawns with Thai Chilli Sauce (£8.99). For the burger lovers there are four to choose from. 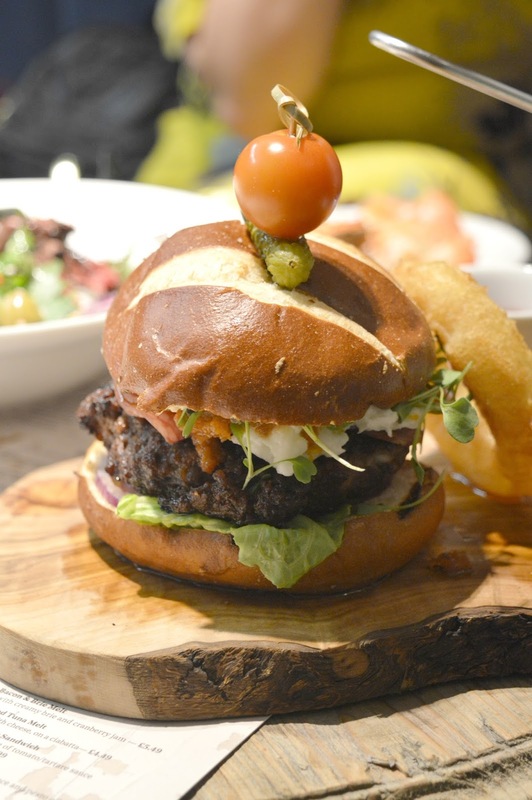 Served on locally baked soft buns and using home-style prime steak mince patties. I'm looking forward to trying out the Holy Guacamole (£9.99) loaded with guac and topped with crumbled feta. I always like to try out new burgers in Newcastle so when I get round to giving one a go I'll be sure to let you know what they're like. There's a pretty large pizza menu at YOLO Townhouse with seven pizzas to choose from. The pizzas are on a thin base and are available in two sizes, 1 foot and 2 feet long. Perfect for sharing with friends. We tried the Vegetable Pizza (£9.99/£19.49) topped with red pepper, red onion, sun dried tomato, olives, artichokes, spinach and button mushrooms. 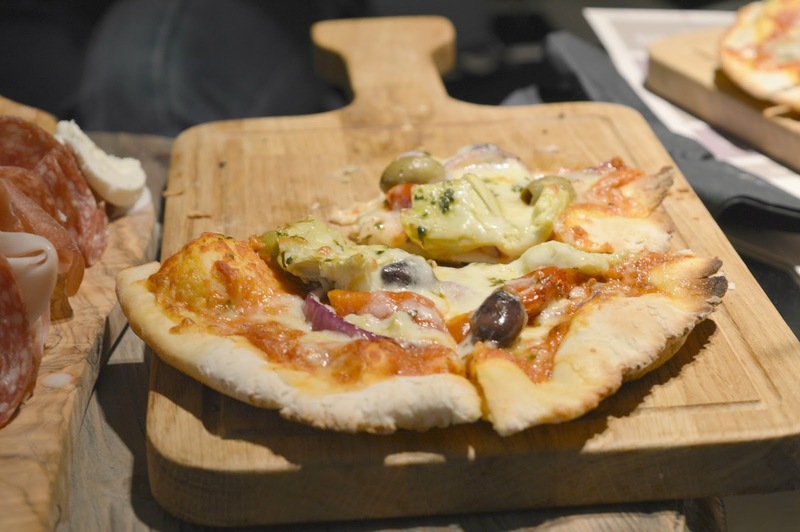 If you're a pizza fan then you'll want to get yourself to YOLO Townhouse on Wednesdays when you can get two for one on all pizzas from noon. The perfect addition to cocktails is one of the YOLO Townhouse Platters. 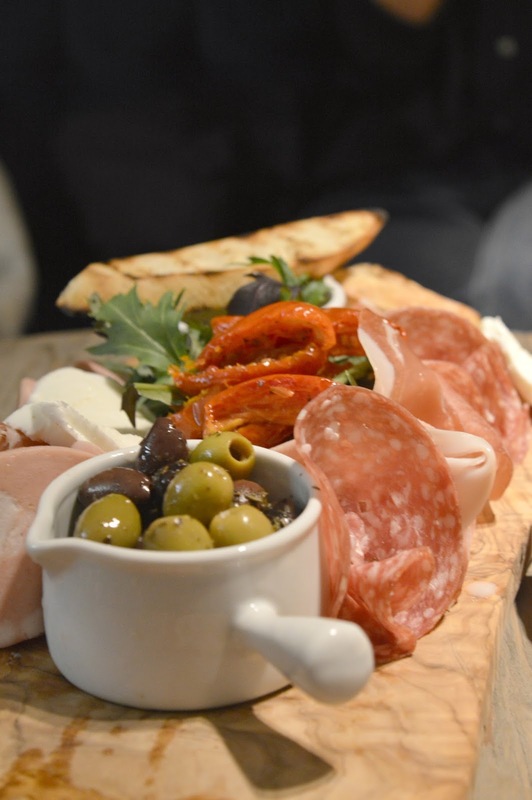 There are five to choose from and we went for the Antipasti Platter (£11.99/£19.99) where we had a selection of meats, marinated olives, buffalo mozzarella, artichoke hearts, ciabatta and a selection of dips. The food at YOLO Townhouse was decent although the menu wasn't really showcasing anything to get excited about. We all commented that the menu was very similar to the other popular bars in Newcastle so I'm not sure I'll be making this a food destination. That said however I'm definitely interested in trying out the Breakfast Menu some time and I love that they are open so early for a pre-shopping coffee with all hot drinks served with a complimentary mini muffin and available two for one. 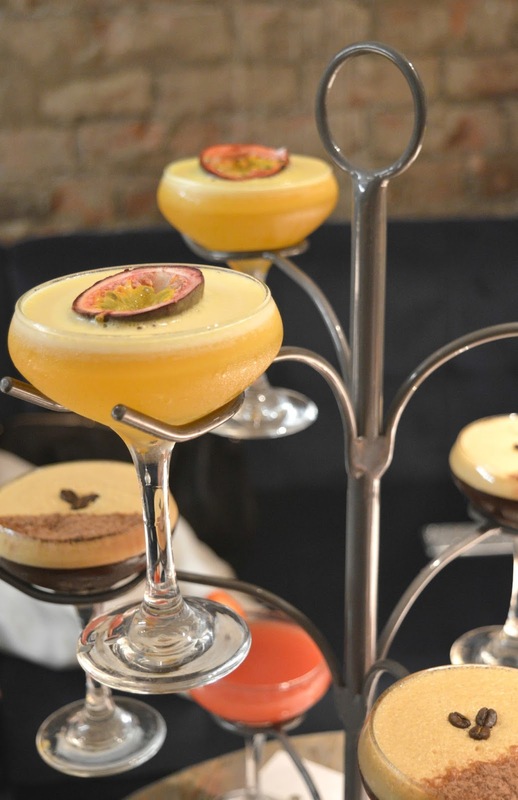 I will certainly be popping back into YOLO Townhouse soon for some more cocktails, it's lovely to have somewhere new to go in Newcastle for an evening out in beautiful surroundings. For more of my favourite cocktail bars in Newcastle check out my guide to the best cocktail bars in Newcastle. I was invited to attend a bloggers preview where food and drink was complimentary. All opinions are my own. WOW it looks fabulous!! Definitely one to add to the list! This place looks divine! Ill be sure to stop by next time I visit Newcastle, I need to get myself one of those cocktail trees!! Love! I'm in love with the cocktail tree! High Bridge is totally becoming the place to be. I've done work along that street for around 10 years now and it has cleaned up so much. It used to be a little grim and cars would just use it as a short cut, but it has totally been freshened up. As others have mentioned the Cocktail Tree is pure genius. Can you just get a random selection to try out... or the full selection to try out. I can feel a very messy date night coming on!